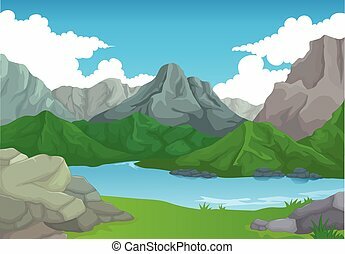 Beauty landscape with lake and mountain background. 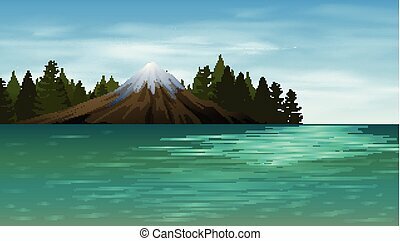 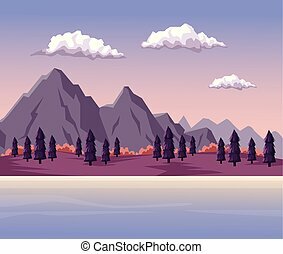 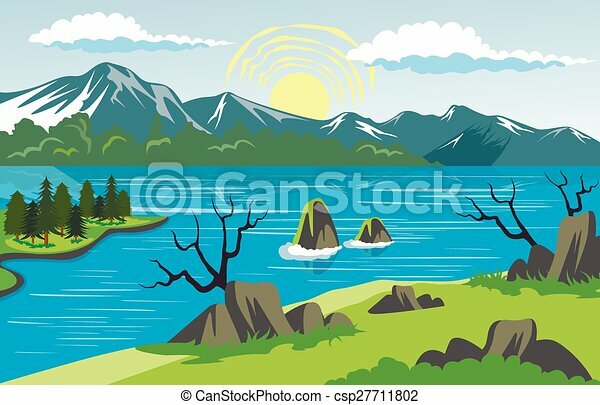 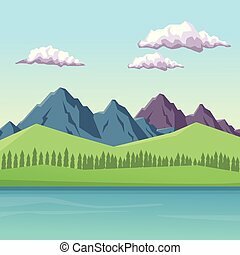 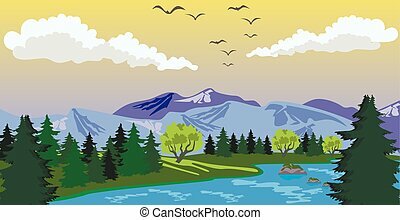 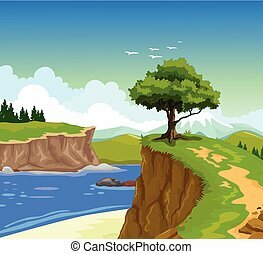 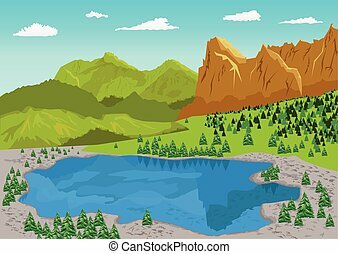 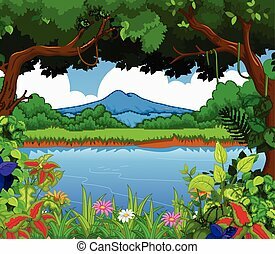 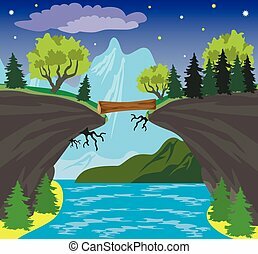 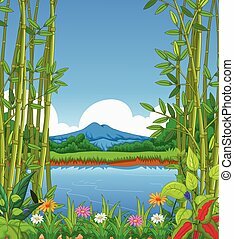 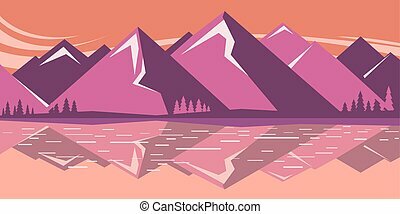 Illustration of beauty landscape with lake and mountain background. 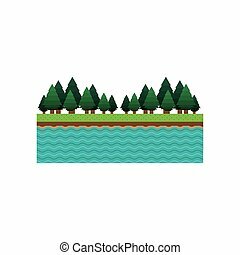 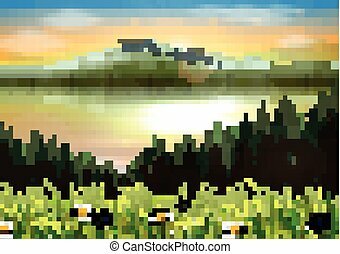 Landscape with pine, fir, grass on the shore of a lake under a blue cloudy sky with sun. 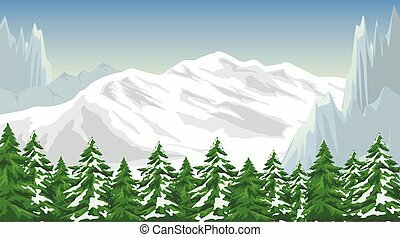 Illustration of the mountain landscape in winter. 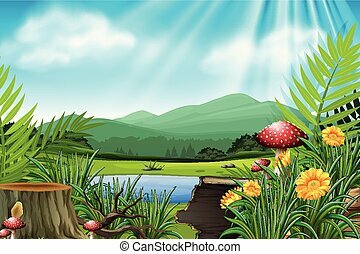 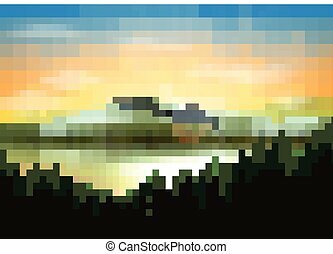 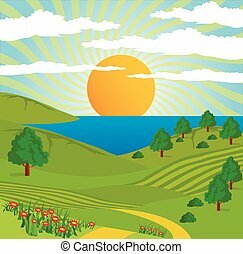 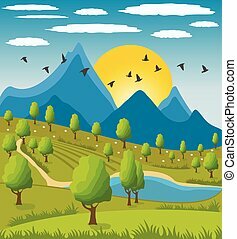 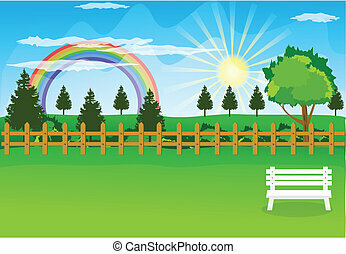 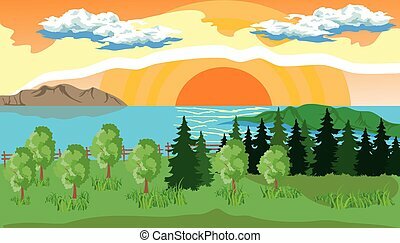 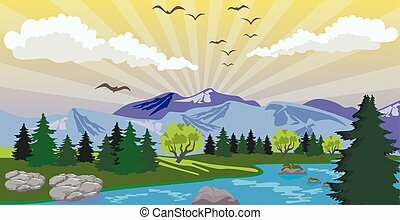 Abstract illustration of a nature landscape with lake, sun, and tree.